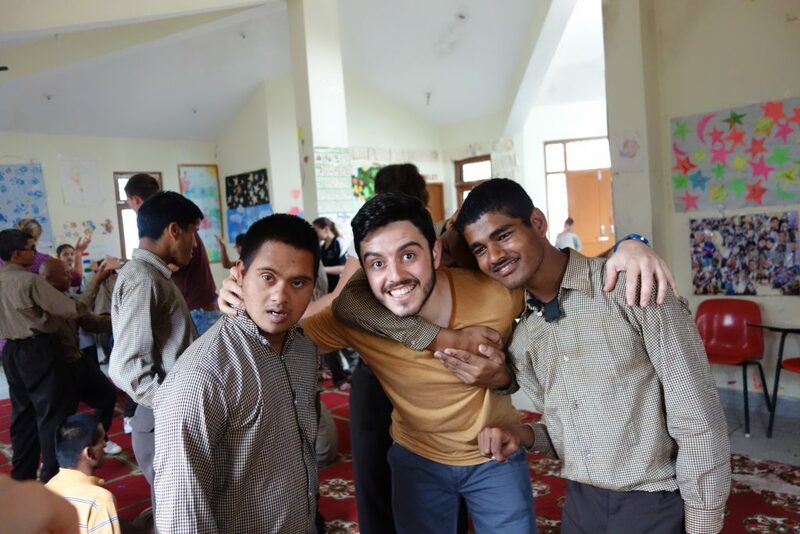 Surely, you don’t need to wait for your trip to India depending on the seasons, but in case you wish to travel and volunteer abroad during your winter break – India can be a good option! Winter in India isn’t much harsh like that in most of the Western countries, and the mild chills are perfect to work outdoors and explore. Every year, we host several volunteers from different parts of the world, who aims to make a difference to the developing Indian society during their 2 weeks Christmas Vacation, and often, then turn to be the real-life Santa Clause for many of the underprivileged people. 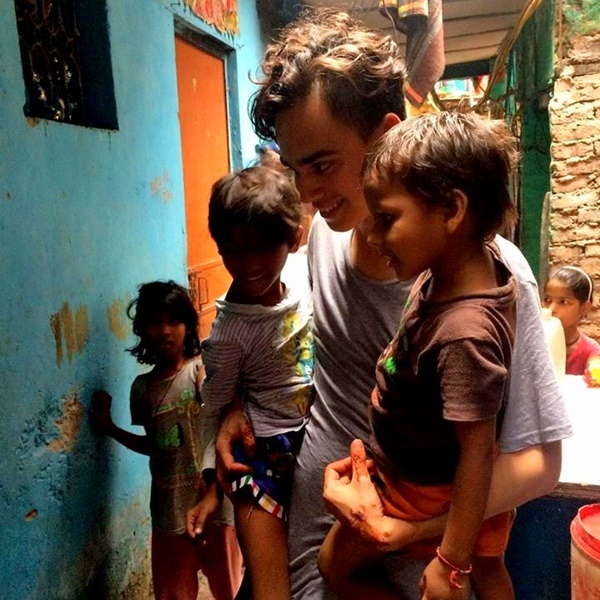 If you haven’t yet planned anything for your upcoming winter break, maybe you can consider taking up a volunteering project in India and do something worthy. 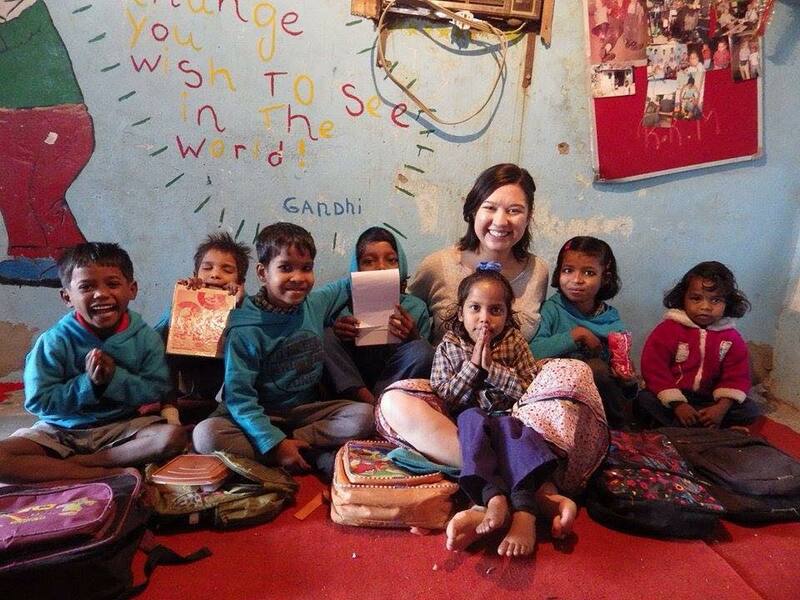 Volunteering India has some amazing & affordable projects to choose from. Take a look and see which one would suit you best. To say the least, winters in Delhi are simply adorable! The misty mornings will greet you with mild chilly winds, and as the day will unfold, the mellow sunrays will fill you with the warmth you need! The evenings will be fairly colder and at night, you’ll want to put on your socks and curl up under the sheet! But in between everything, you’ll spend your days with the little ones and enjoy to the fullest. Being a volunteer for the Street Children Program will enable you to know more about the conditions of these kids, and help them to shape their future. You can teach them & play with them, sing songs and paint the classrooms. Fill their lives with the warmth, and they’ll shower you with unconditional love, in return! Cost for 1 week – $250, which includes your Pre-Departure Guidebook, Airport Pickup, Program Orientation, 24*7 in-country support, Placement at the project site, Accommodation & Meals. Palampur is a quaint little town in the Himalayan state of Himachal Pradesh. Being surrounded by the snow-capped mountains, the temperature here would be a little colder than that of Delhi, but nonetheless, enjoyable! Being a volunteer for the teaching program, you’ll be working with local schools where the teacher-student ration is extremely low. You’ll have to help the staff in managing classes, prepare lesson plans, and also teach English & Maths. You can modify your lessons and focus more on activity-based learning methods. Here are some creative ideas that’ll help you during your volunteering journey as a teacher in India. Apart from teaching, you can also get engaged in some sort of renovation work, and make the school premises more lively and kids-friendly! During your free time in Palampur, you can simply gaze at the Himalayas, or go for a walk around the tea gardens and soak yourself in the freshness of the ambiance. 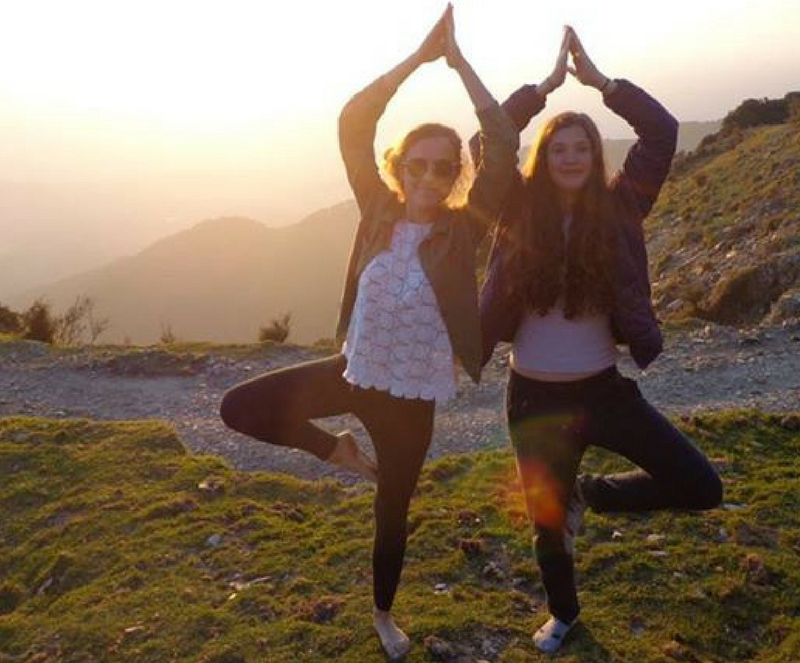 Cost for 1 week – $275, which includes your Pre-Departure Guidebook, Airport Pickup from Dharamshala Airport, Program Orientation, 24*7 In-country support, Placement at the project site, Accommodation & Meals. If you are looking for a program that’ll have a perfect dose of volunteering & travel, then you must choose to be a part of the Mini Break Program. In a span of 2 weeks, you’ll get to work with the adorable kids at shelter homes in New Delhi, and also explore the gorgeous UNESCO Heritage Sites in the city. Head out to explore the bustling markets of Delhi, binge on some delicious street food, and also, take a trip to Agra and witness the beauty of the Taj Mahal. Walk down the lanes of history, this winter, and make friends with some like-minded travelers from other parts of the world. 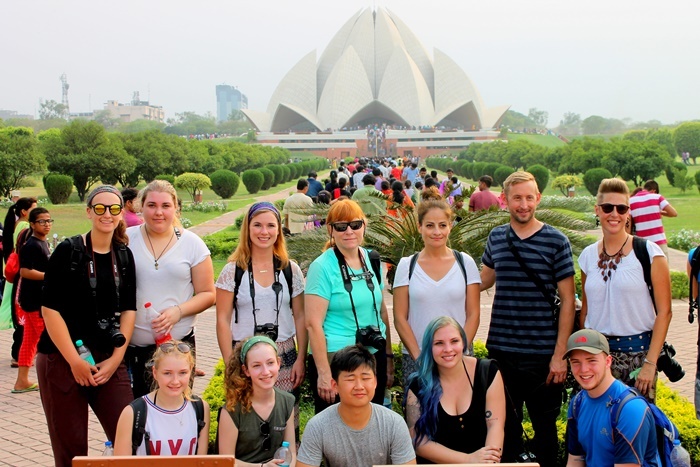 Cost for 2 weeks – $500, which includes your Pre-Departure Guide Book, Airport Pickup from IGI Airport, Program Orientation, 24*7 in-country support, Accommodation & Meals, Placement at Project Site, City tour of Delhi and Taj Mahal Tour in Agra. If you wish to spend this winter away from the chaos and cacophony of the urban life, then you must definitely join this program for a span of 2 weeks, and escape from the monotony of the regular life. Yoga is a form of art that helps in cleansing the mind, body & soul – and what can be better than living amidst the Himalayas, and practice yoga on a daily basis? Not just that, but you’ll also get to spend a few hours with the children of Palampur, every day, and teach them basic lessons. You’ll also get to trek the Himalayan trails during the weekend, and opt for paragliding at Billing – the world’s second highest paragliding spot! It’s gonna be the perfect adventure you’re looking for! And who knows, you might just find yourself amidst a snowfield, during the trek! Cost for 2 weeks – $775, which includes your Pre-Departure Guide Book, Airport Pickup from Dharamshala airport, Accommodation & Meals, Program Orientation, Weekend Trek, Local Market Tour, Yoga classes, 24*7 in-country support. If you are keen on taking up a more challenging work, then you can join the Disabled Care Program and contribute your time towards taking care of those who need special care and attention. The project has three centers, namely Special Education Center, Skill Development Center and Autism Center. Volunteers opting for this program can be placed at any of these 3 project sites. It’ll be a learning experience for you, and you’ll probably gain a different meaning of life. Now that you know which all programs would be a perfect choice for your Winter Break 2018, you shouldn’t waste time any longer, and book your trip, ASAP! 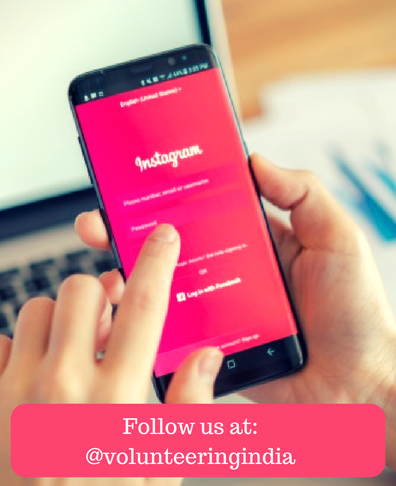 You can drop us a mail at [email protected] and also, follow us on Instagram, to know more about what our volunteers are doing in the field! ← How To Be Safe While Traveling Solo In India?